Assuming you’ve made it through to the end of Keiji Gotoh’s Assassination Classroom’s first series in one piece, you’d be forgiven for needing some time to regain your composure after the tumultuous events that closed it. Although this touch of romance continues to reverberate through the first half of the show’s second season, there’s still plenty that will be more instantly recognisable to fans of the series. A return to school also means a return to Class 3-E’s assassination attempts using new information about their teacher, although it seems that Koro-sensei himself will need saving rather than shooting, as some unwelcome allegations are thrown in his direction. Some episodes dig deeper into individual characters – most notably, we finally get a genuinely shocking glimpse into exactly what makes Nagisa tick – while others broaden their focus to the educational experiences of the class as a whole. Whenever things get too comfortable, however, there’s always an outside influence waiting in the wings, whether it’s a familiar face or an entirely new threat. Underpinning it all is the knowledge that the clock is ticking and the end of the world really is nigh – the thoughts of the students are already turning towards graduation and future careers, but they’ll need to step up their assassination game if they want to live to realise those dreams. Thankfully, viewers can at least rest assured that we will get to witness a proper ending to Assassination Classroom – with Yusei Matsui’s original source manga also coming to a close, we’re guaranteed a finale that matches the true end of the story. 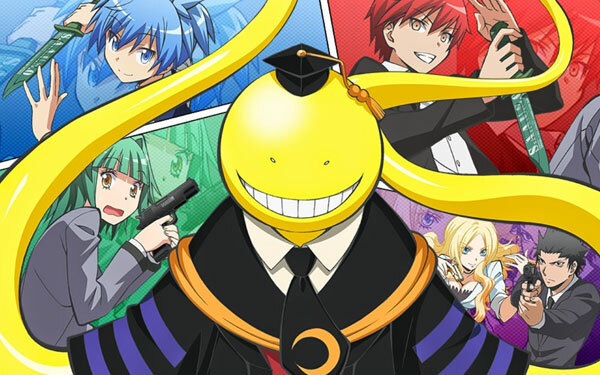 But let’s not get ahead of ourselves, as there’s still a lot to enjoy from this second season – Assassination Classroom continues to juggle comedy and dramatic tension while still finding time to develop a number of its characters. Add some shifting relationships and a major new addition to the class, and the future of Earth seems even more uncertain, suggesting that we’ll be on the edge of our seats again by the climax to the series. Assassination Classroom season two is released in the UK by Anime Limited.